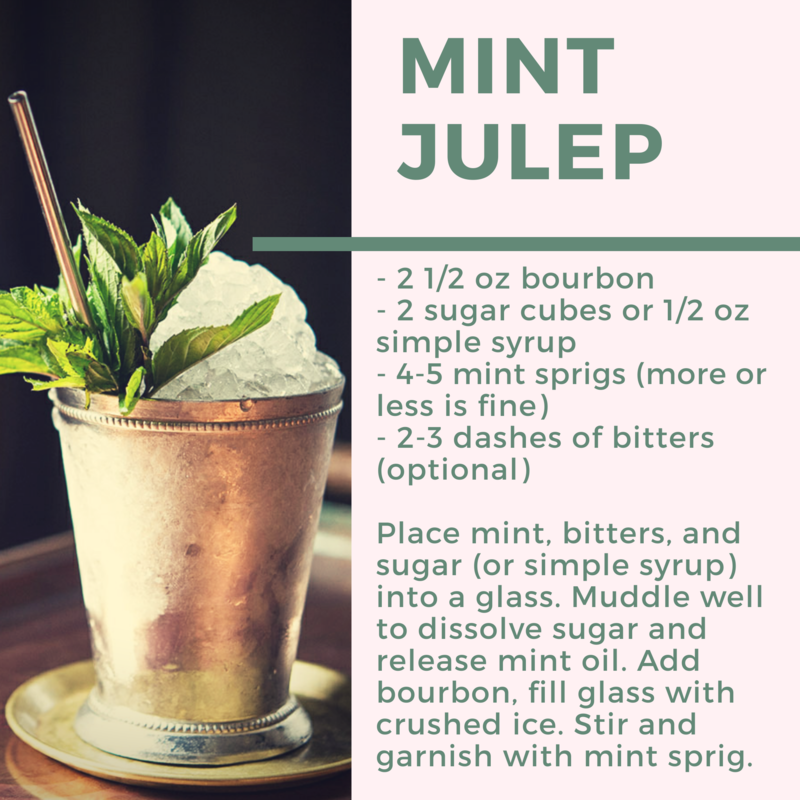 Place mint and sugar or simple syrup into a glass (classically served in a frosted silver julep cup, but whatever you have is fine). Muddle well (but gently so the leaves don't break up too much) to dissolve the sugar and release the oil in the mint. You may need to add a tiny bit of water to dissolve the sugar if you're not using simple syrup. Add the bourbon (one you love the flavor of, as it's mainly what you'll taste), and fill the glass with crushed ice. Stir until the glass becomes frosty, and then garnish with a mint sprig. Some people also add 2-3 dashes of bitters, but that's optional.